Adam has returned from practicing at the West Coast Osteopathy and Wellness in Vancouver and has now relocated back to Edinburgh. He graduated from the British School of Osteopathy (London) with a Bachelor of Science with Honours degree in Osteopathy in 2002 and is fully registered with the General Osteopathic Council. He knew from an early age that he was going to be an Osteopathic Practitioner having been treated by one following several severe injuries while competing in the under 16s rugby squad for Scotland. The Osteopathic Practitioner assisted and inspired Adam, as a young athlete, to such a degree that he began training in the osteopathic program immediately upon leaving secondary education. Adam works with all age ranges and ailments from sports injuries, working with athletes at the top of their game and post trauma. He treats from pregnancy, post natal care and his particular speciality; paediatrics. In 2013 he spent three months in Port of Spain, Trinidad and Tobago, establishing a children’s clinic which he found enormously fulfilling. Adam treats the whole patient to help them re-establish their relationship to health, allowing the body to rebalance and function to the best of its ability. 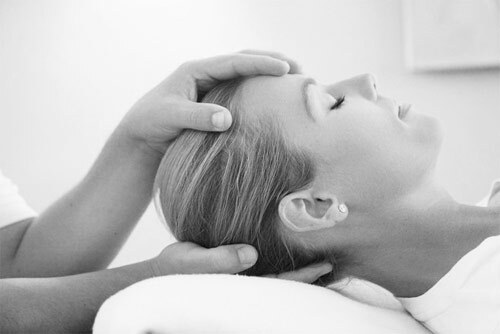 He employs a wide range of osteopathic techniques including cranial, (biodynamic and conventional), manipulation, soft tissue massage, visceral, myofascial release, fascial unwinding, functional, muscle energy technique and exercise prescription. Adam’s continuous professional development has led him to attend many different post graduate courses including visceral, A. T. Still techniques. He has attended concussion seminars, the biodynamic phases, paediatric phases and most recently he completed a four year post graduate course in Paediatric Cranial Biodynamic Osteopathy at the Swiss Osteopathic Centre for Kids in Crans-Montana, Switzerland. This in-depth post-graduate paediatric course was developed and run by Dr James Jealous based on the biodynamic osteopathic approach. The training program is unique in the world of osteopathic treatment for children as it is the first time that such a number of highly qualified teachers and osteopaths have worked together to build up one curriculum which stands as a bench mark in paediatric osteopathic medicine. In 2013 Adam counted himself privileged to be amongst the first graduates. He finds the treatment effects deep change in clients and considers it an honour to have had the opportunity to be part of the healing and development process. Adam has lived and worked in the UK, New Zealand, Switzerland, Trinidad & Tobago and Canada. His love of travel has opened doors to international education and hands on training with some of the best Osteopaths around the world.